If you ask Cassandra Hili when her weight problems began, she'll tell you the same thing that her parents told her: she blew up overnight. And so began a nearly decade-long struggle that led to countless trips to the hospital, as the teen also battled bullying and depression. 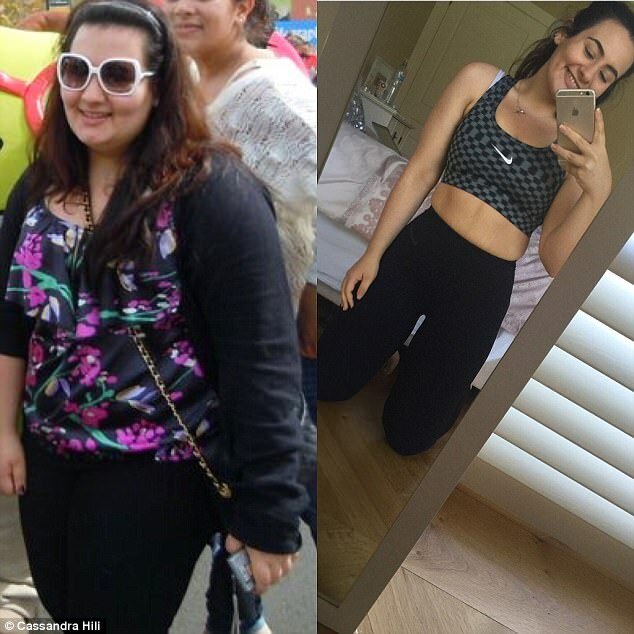 It was with the help of Christina Aguilera, Tumblr, and a treadmill that Cassandra was able to make a drastic change, eventually losing 55 kilos in two years. 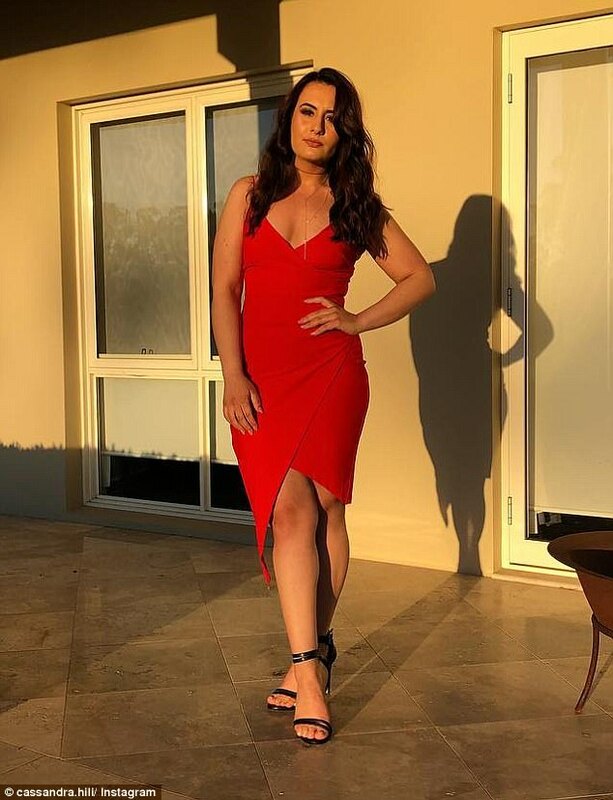 Now the successful Sydney woman has her own company at the age of 23, and is sharing her story to help inspire those who are still struggling. Cassandra's weight issues began when she was just eight years old, and intensified as she started puberty. 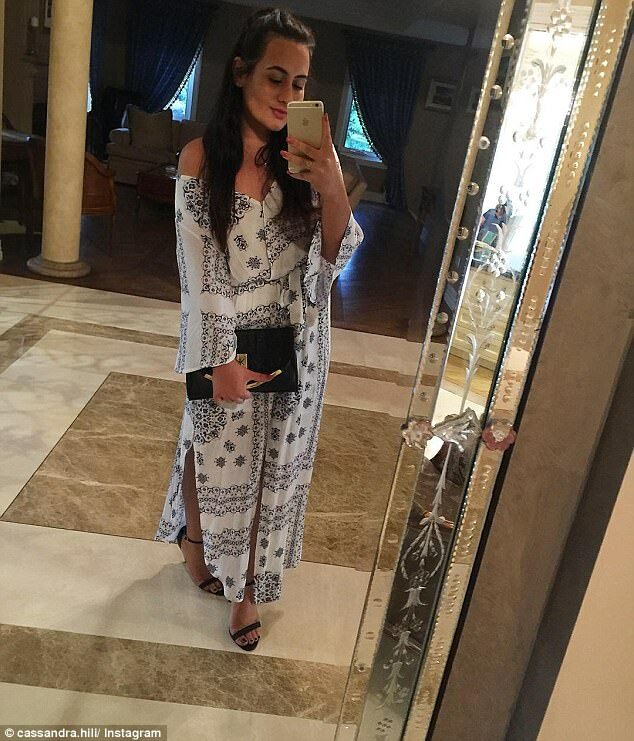 Cassandra grew up with a big Mediterranean family, where every Sunday was spent at her grandmother's house surrounded by big plates of pizza and pasta. 'I never ate poor quality food, it was just large amounts of food that should have been controlled better,' she explained. 'I was probably not picking the best choice of food, but if you look at a child's food menu there aren't really great options available. There was a lot more to it then just food,' she said. Cassandra's parents realised something was going on as she continued to pack on more and more pounds, and so they immediately took her to a doctor. Soon, she was visiting the Westmead Children's Hospital on a weekly basis, seeing dietitians, nutritionists, and exercise physiologists. At the same time Cassandra was getting severely bullied at school, with children coming up to her and saying 'Hey, you're fat. Did you know you're fat?'. Cassandra said she lost friends 'left, right, and center' as she sunk deeper into her depression and became uncomfortable going out because of her weight. It was a brutal cycle as Cassandra, who at her heaviest weighed 117 kilos, sought comfort with food, causing her to pack on even more pounds. 'Food was my safety net, food was always the go to for me,' she said. At first, doctors attributed the weight gain purely to Cassandra's diet or puberty. But after three years, she was diagnosed with insulin resistance. It was then they realised they had missed one of the tell-tale signs. The more weight Cassandra put on, the darker the skin on her neck and arms got. Three years after her diagnosis, Cassandra was put on a stronger prescription to help with the condition. But by then her depression was at it worst. 'I wasn't paying attention much to what people were saying around me anymore,' she said. 'I had lost a bit of hope at that point,' she said. For five years Cassandra had been poked and prodded and told how to live her life by everyone around her. She didn't know what else to do but give up. And so Cassandra went about her life for the next year, but she wasn't feeling any better about herself. She injured her ankle for the fourth time in 12 months while playing netball, and was sitting at home one day feeling awful. That's when she had a lightning bulb moment. 'It kind of inspired me, and the light came on and I thought "I don't want to do this anymore, I don't want to be like this'". And so, just like that, Cassandra began to make changes in her life. She went through all the cupboards of the house and got rid of anything she loved to eat, including chips and bread. Cassandra began taking all the advice nutritionists had been giving her over the years, eating small meals throughout the day and being conscious of the quality of food she ate. She amped up her intake of vegetables and fruit, but still allowed herself to 'indulge a bit' at her grandmother's house. Cassandra began walking on her treadmill at home after her ankle healed. At first she could only manage 15 minutes a day, but slowly she made progress. After four weeks, Cassandra felt confident enough to do interval jogging, and four months later she was running for a full 15 minutes without stopping. 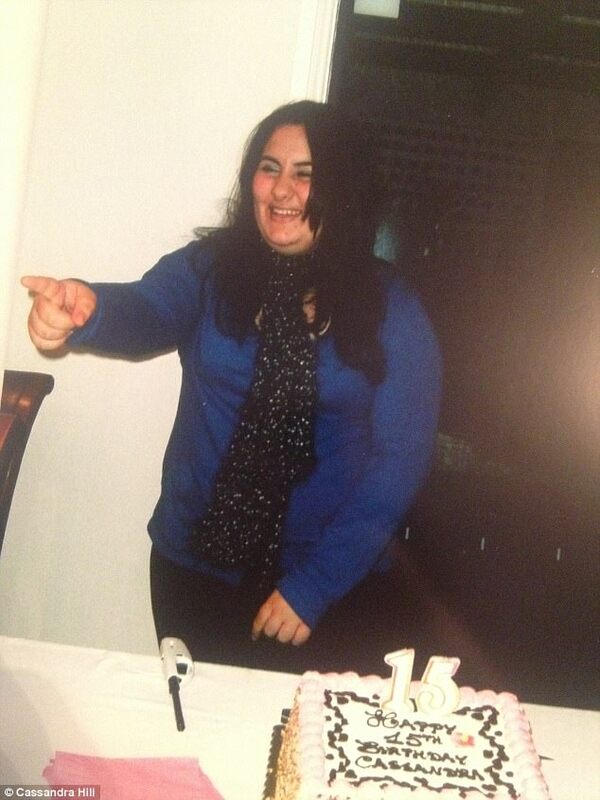 As she begun her weight loss journey, Cassandra was also documenting her progress on Tumblr. Her sister had a blog on the popular social media site, and thought it might be a good way for Cassandra to talk to people and get inspiration. 'It felt daunting at first putting up my progress photos, but as I lost weight and documented my own journey I started getting messages from people my age experiencing a similar situation,' she recalled. And as Cassandra was finding connections online, she was becoming more and more happy with what she saw staring back at her in the mirror. 'When I was going through everything I was going through with the doctors, I used to pray that some kind of miracle would happen and one day I would wake up and the weight would have fallen off me,' she recalled. 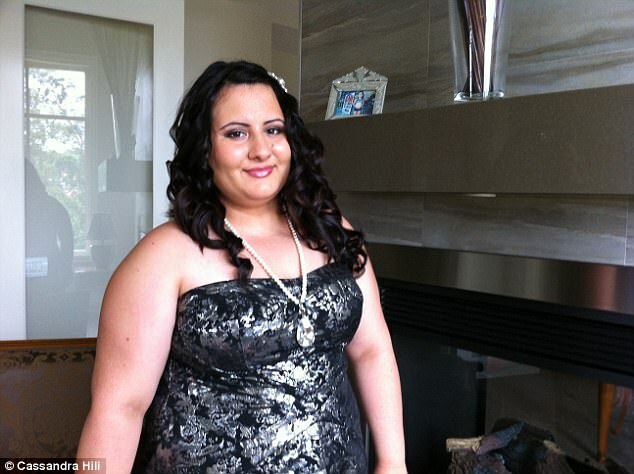 In two years Cassandra lost half her body weight, shedding an incredible 54 kilos. And as the number on the scale dropped, her follower count rose and rose, with more than 194,000 people watching her transformation video on YouTube. That social media success eventually inspired Cassandra to launch her own PR company, Millennium Communications. 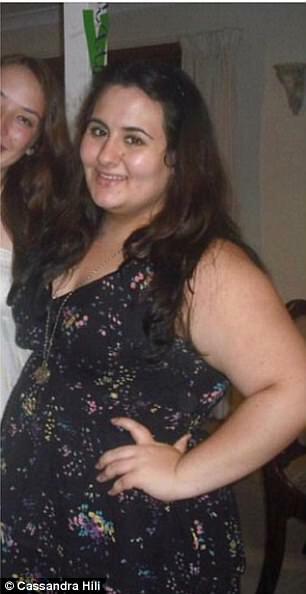 At first, Cassandra considered studying nutrition or becoming a personal trainer as she tried to determine her future. But neither felt like the perfect fit. 'I knew that I wanted to help people in some way, I just couldn’t figure out what it was,' she said. It was Cassandra's father who reminded her that she had been sharing her story through social media, and that maybe it was the field she was destined to be in. That's when Cassandra realised she had been managing her own PR this whole time, talking to businesses and landing stories in national magazines. So she decided to pursue a Bachelor of Communications and opened up her company, running Millennium Communications while studying full-time. Within her first month, Cassandra had four clients. And it's only grown from there. 'My journey has allowed me to take something I love, and I've been able to turn my business into something where I can help other people develop their brands,' she said. Now Cassandra hopes to turn Millennium Communications into Australia's number one PR and marketing agency, and to continue inspiring young women everywhere.